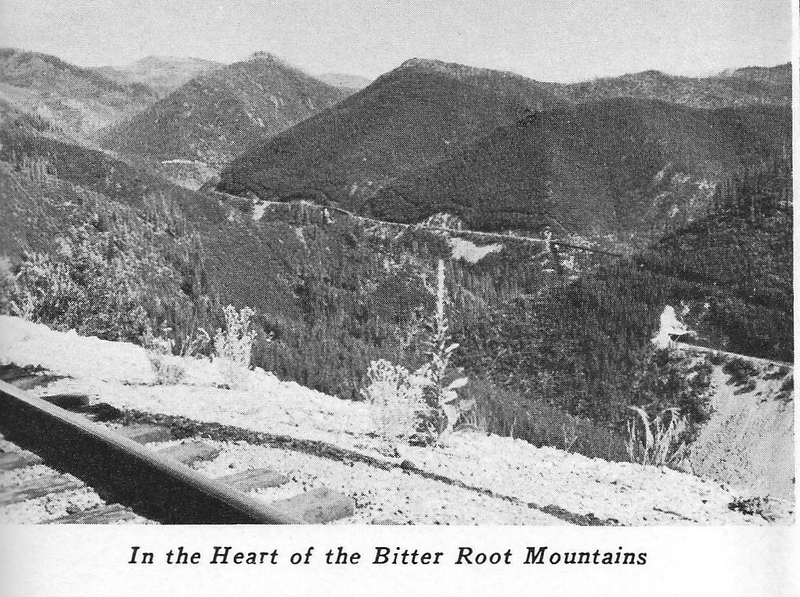 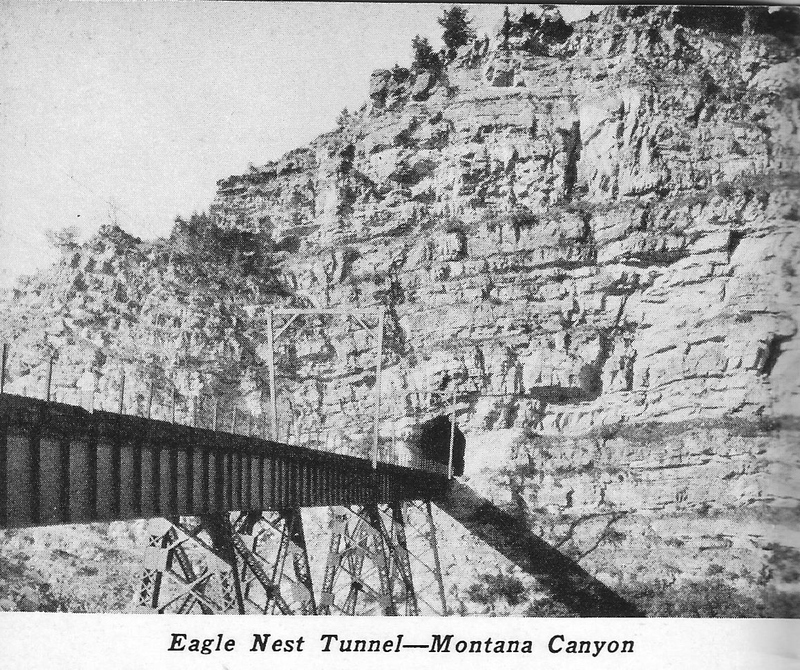 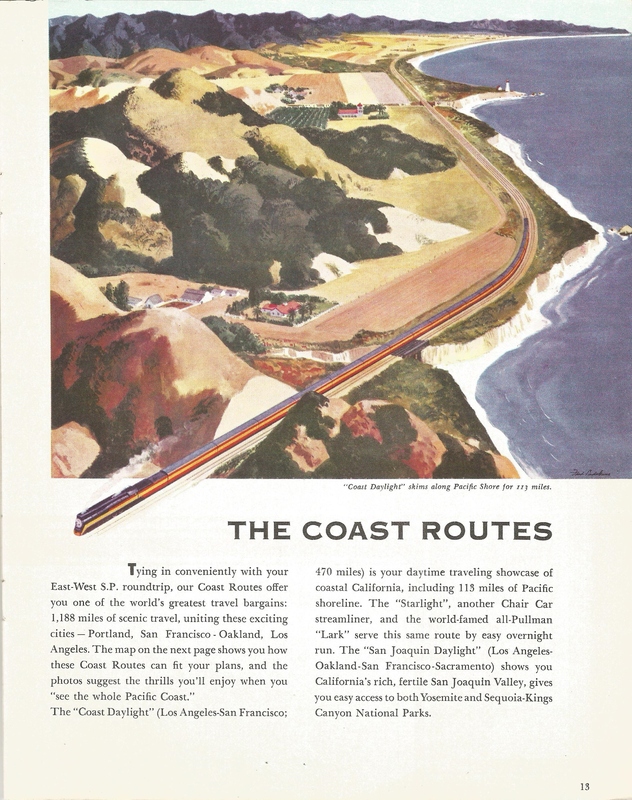 Only two railroads had their own track from Chicago to the West Coast: Santa Fe and Milwaukee Road. 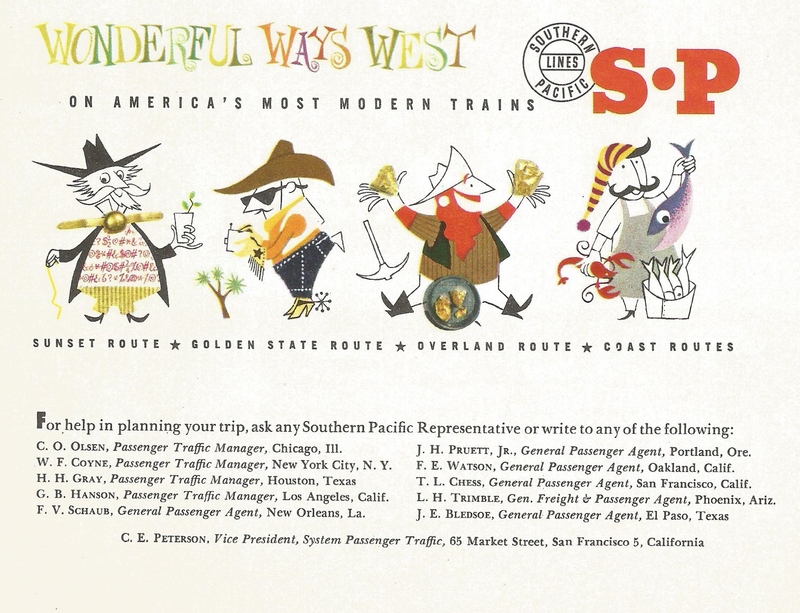 One prospered in the passenger market (Santa Fe) and the other didn’t. 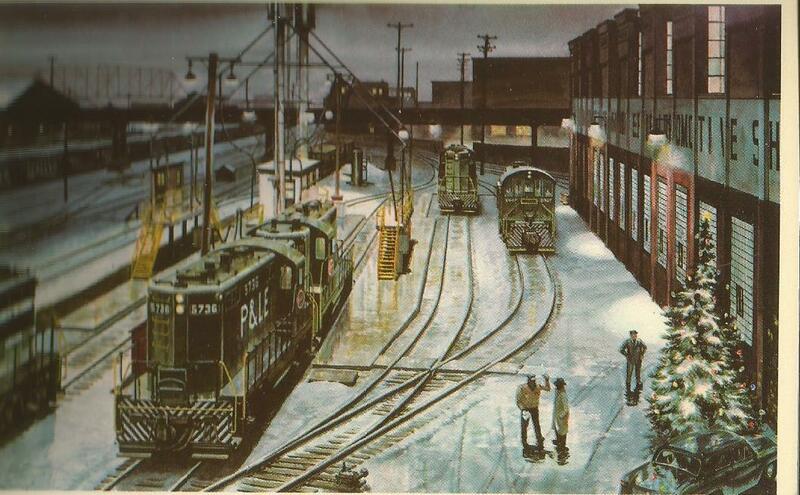 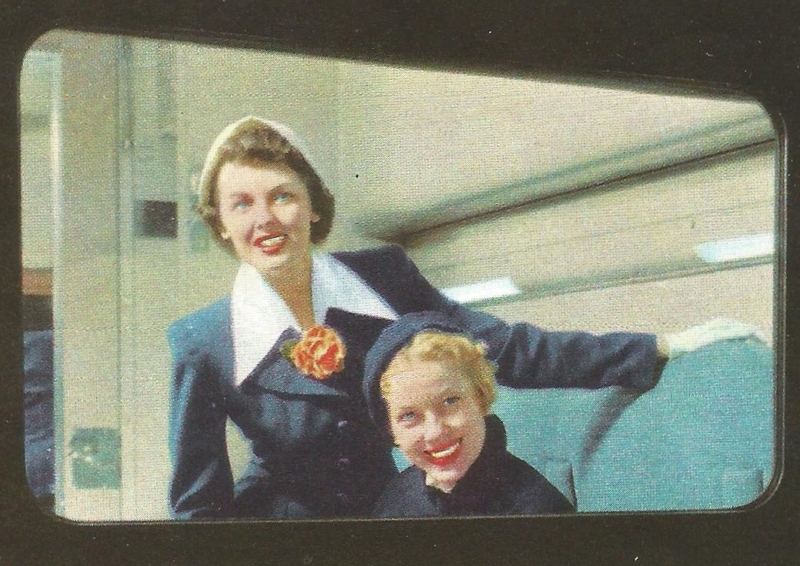 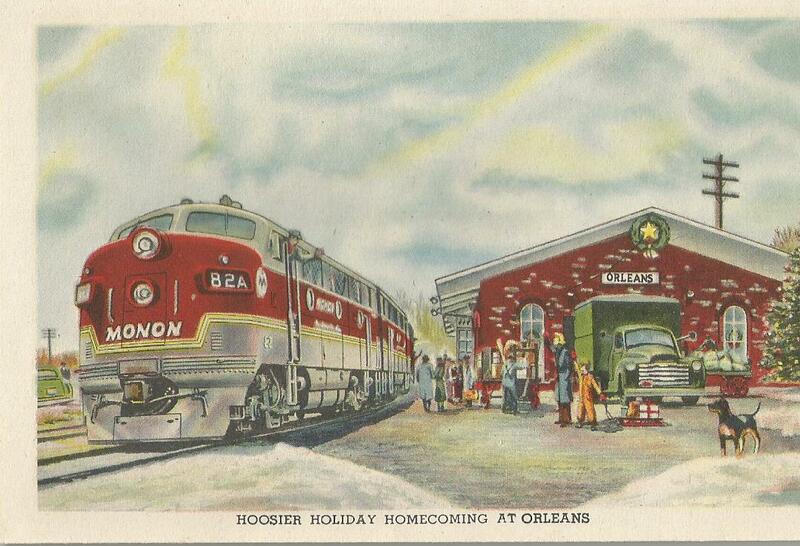 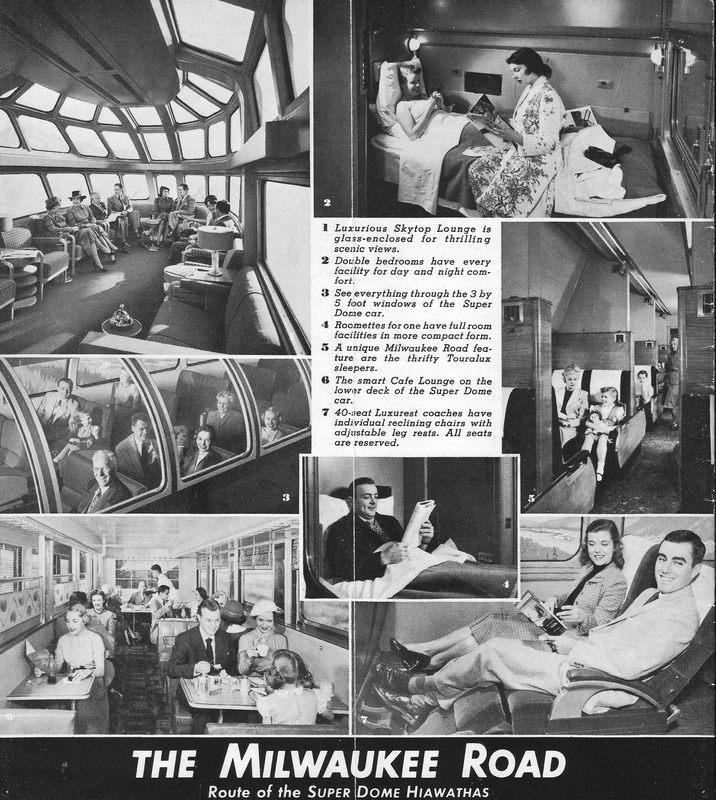 Although post-War Milwaukee streamlined its Olympian Hi sooner than one of its competitors (Northern Pacific), Milwaukee’s equipment, despite the grandeur of a car like the one above, on the whole lacked features that gave Great Northern and ultimately Northern Pacific the competitive edge. 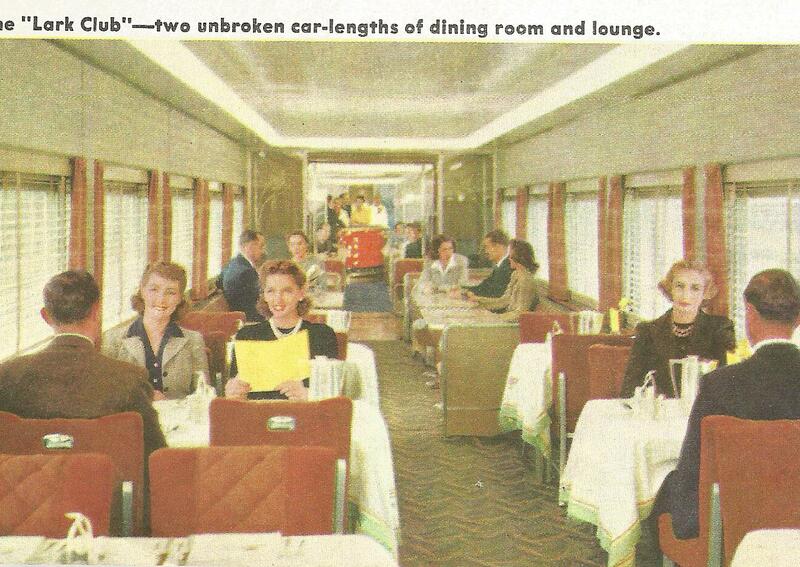 I rode the Union Pacific/Milwaukee Road Challenger (LA-Chicago) in one of four former Olympian Hiawatha leg-rest coaches. 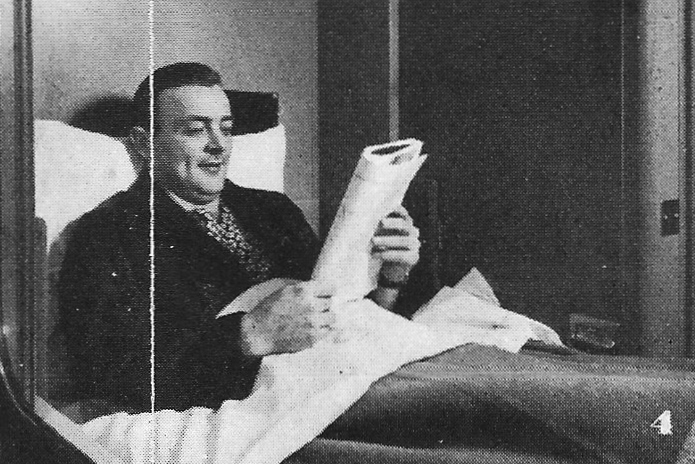 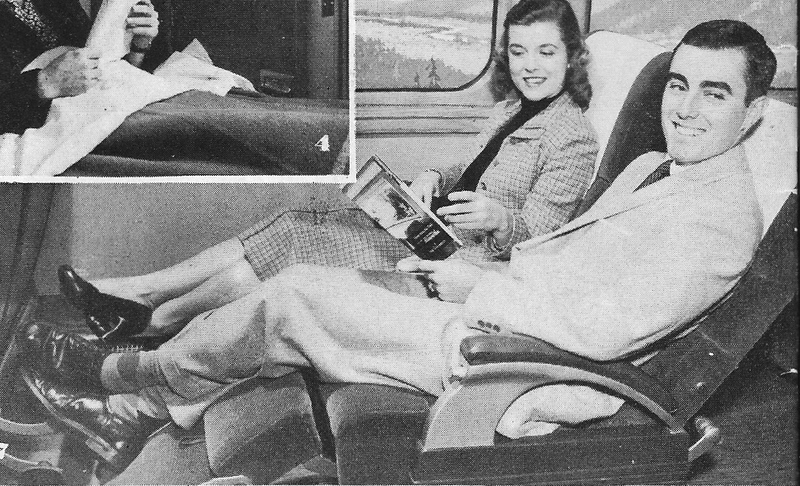 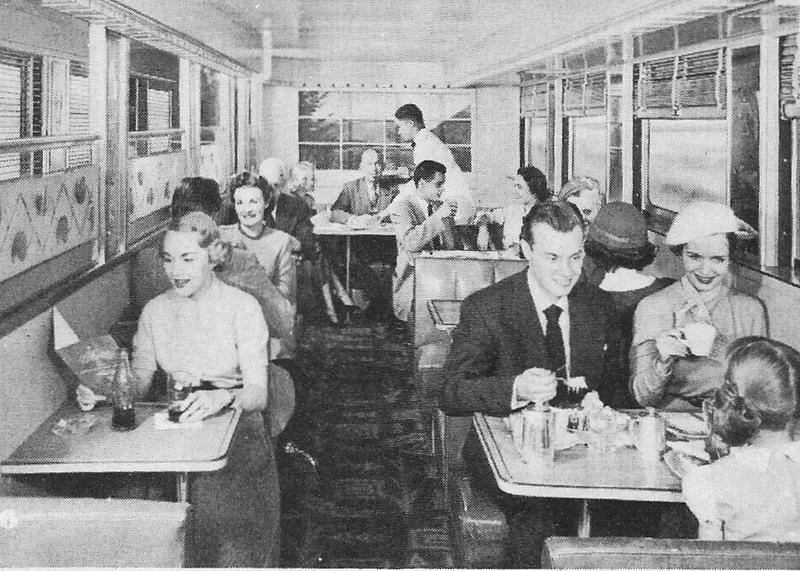 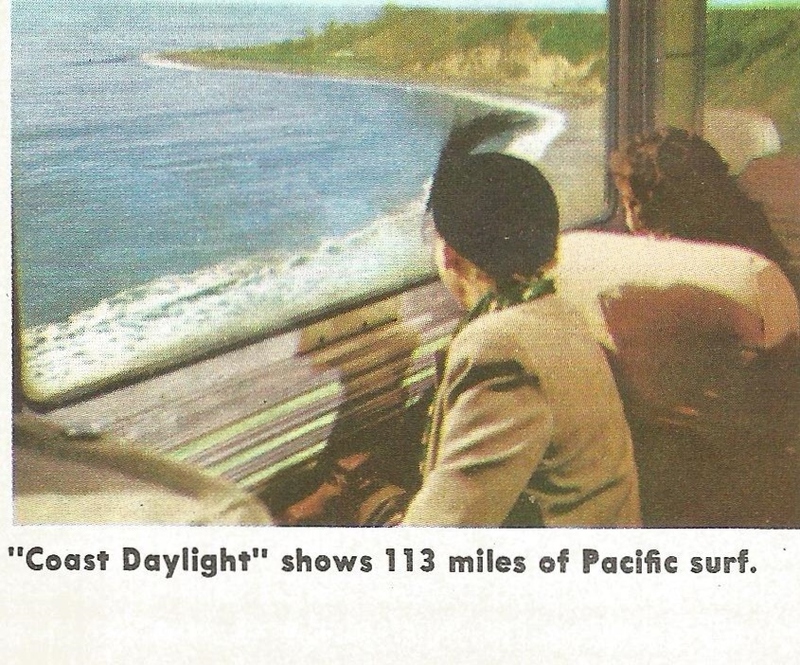 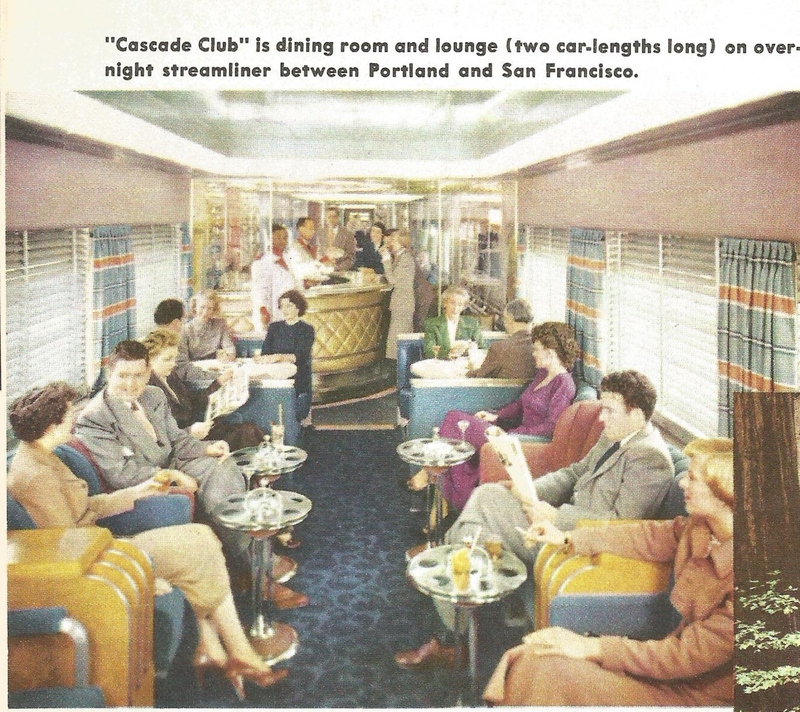 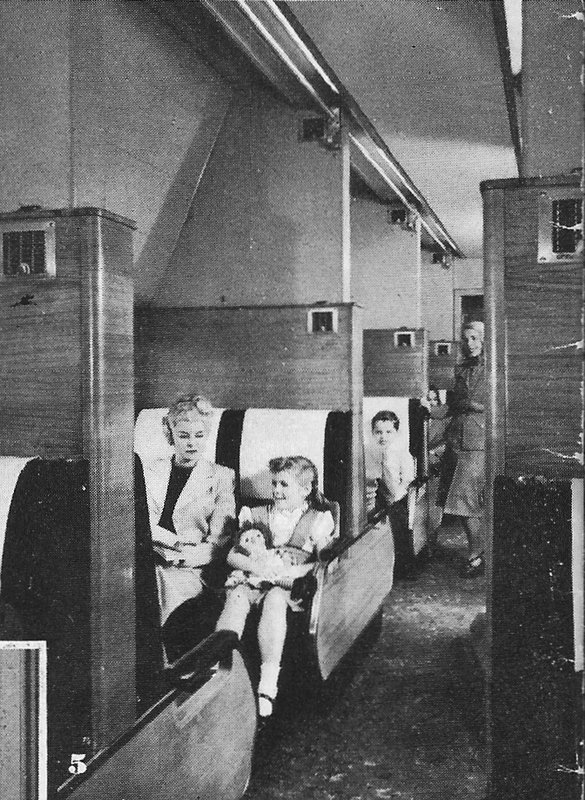 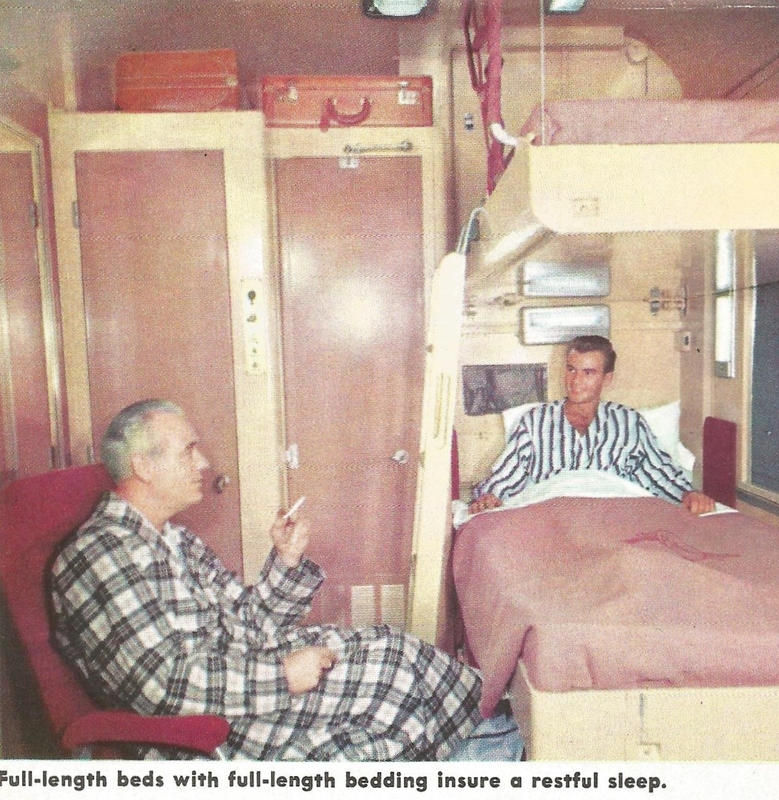 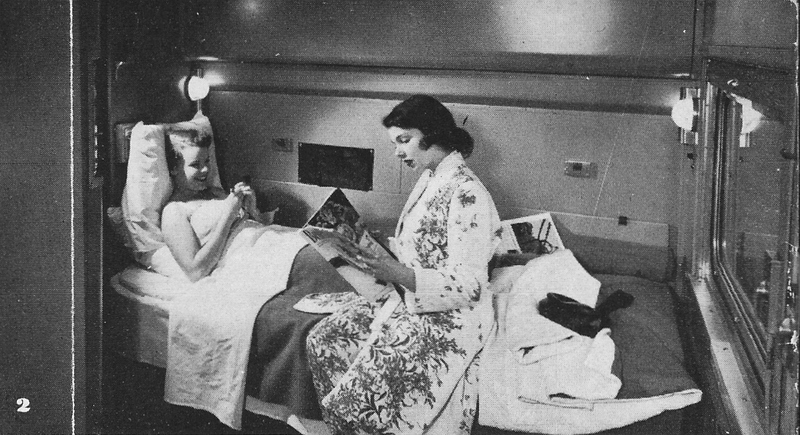 They had less leg room than the Union Pacific coaches and were obviously older. 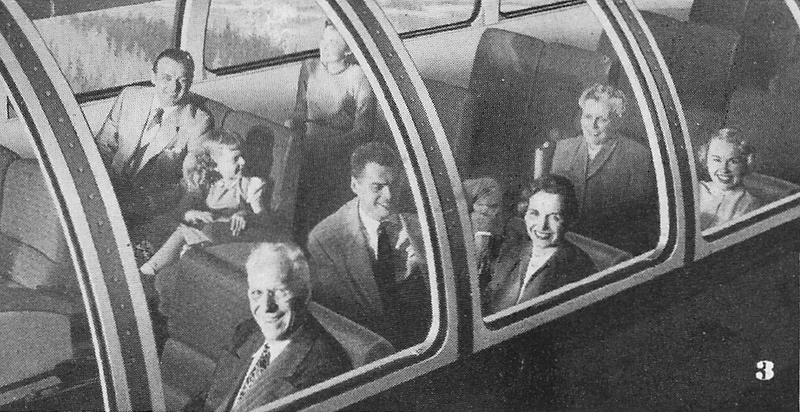 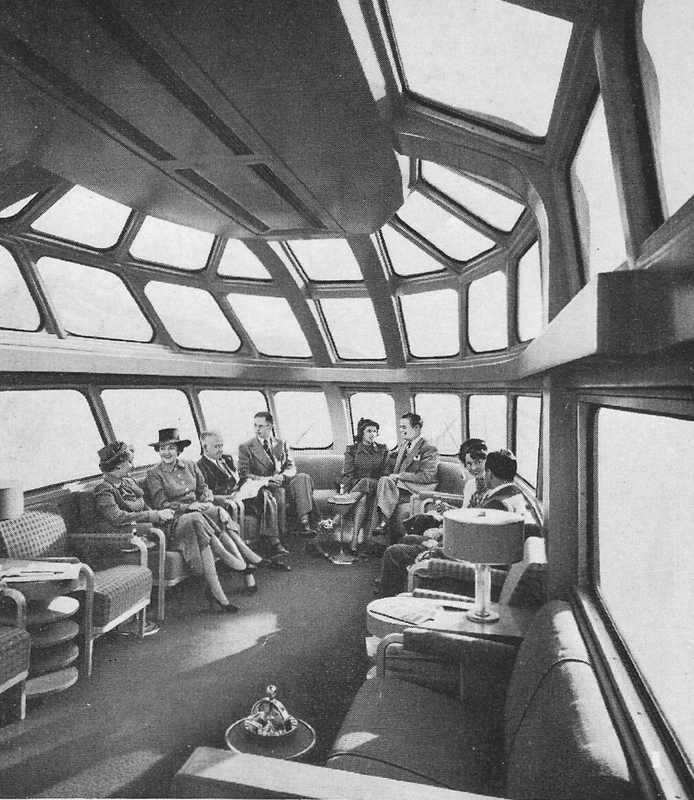 Also, the full-length dome, which looks so great in the photo above, didn’t allow for forward viewing, which the full-length domes run on Great Northern and Santa Fe did, as did the middle-of-car domes run on many trains. 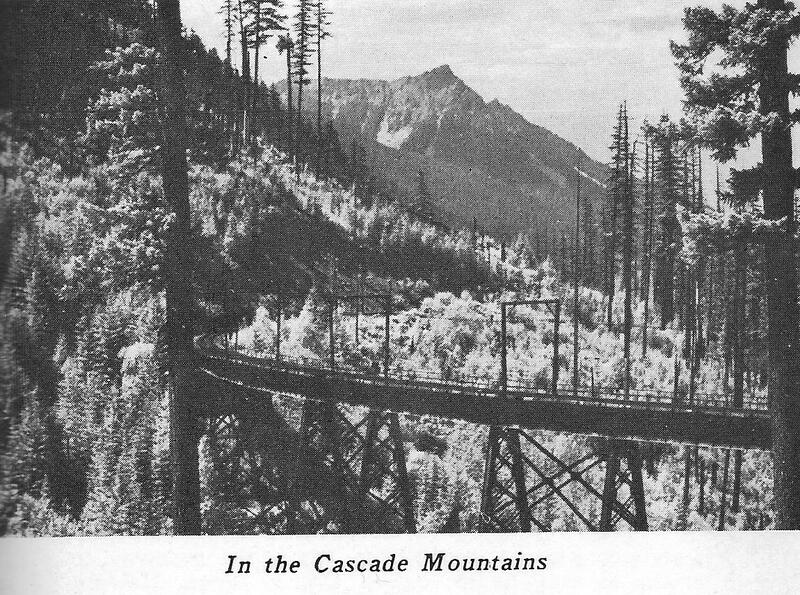 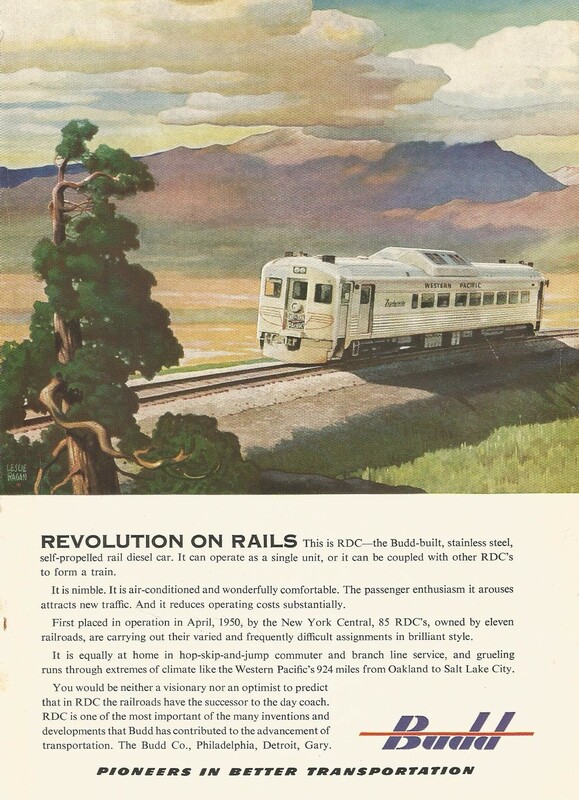 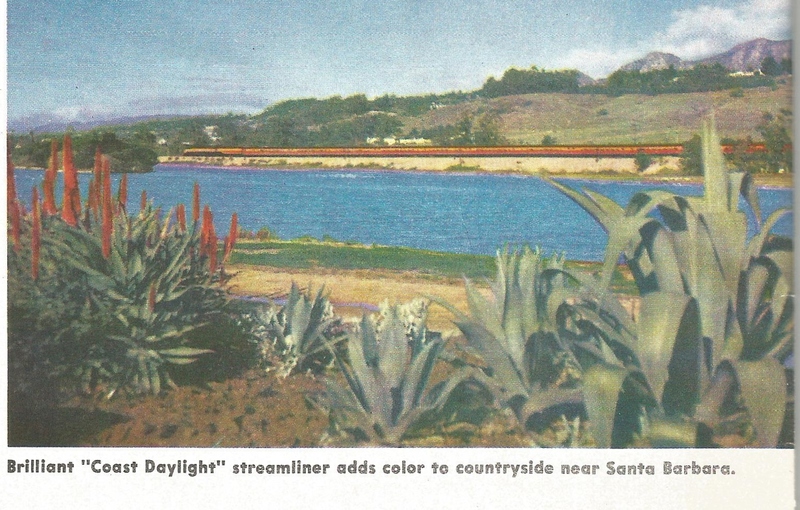 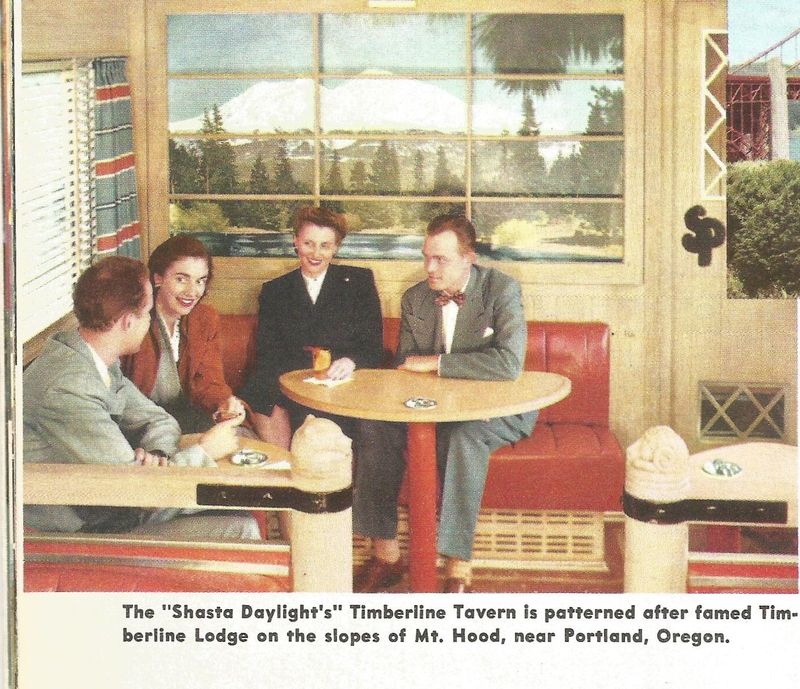 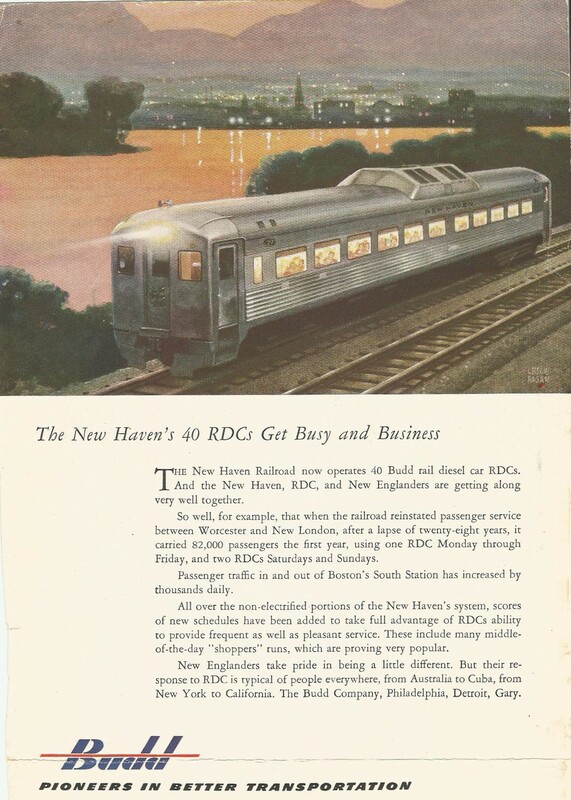 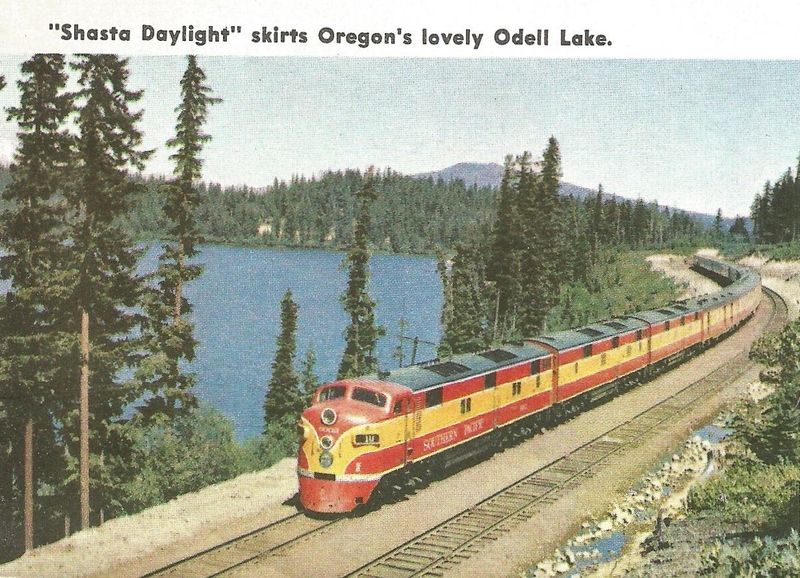 I would guess the date of this undated brochure (a route guide) to be 1952 or ’53: the dome has been added to the Olympian Hi, and the secondary train on the route, the Columbian, was running. 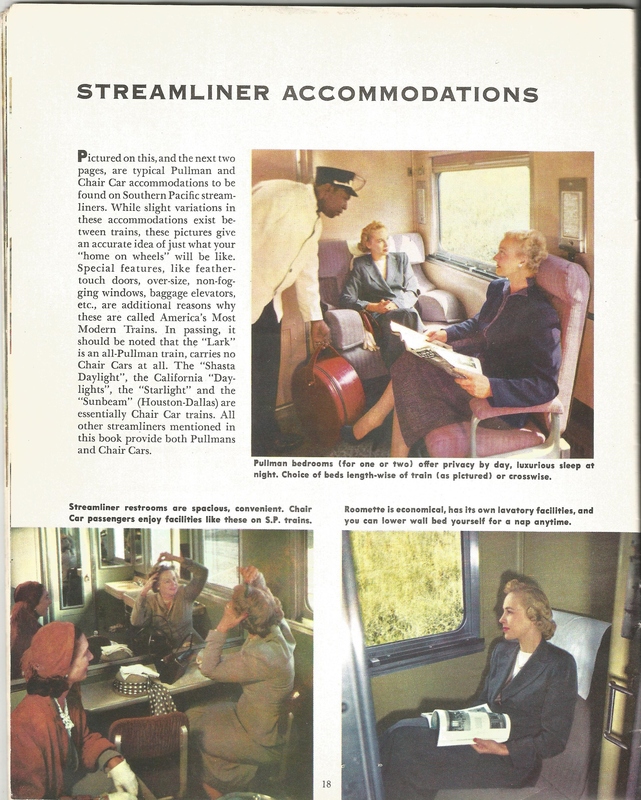 Most of the photos in this route guide are small, along the top of the page. 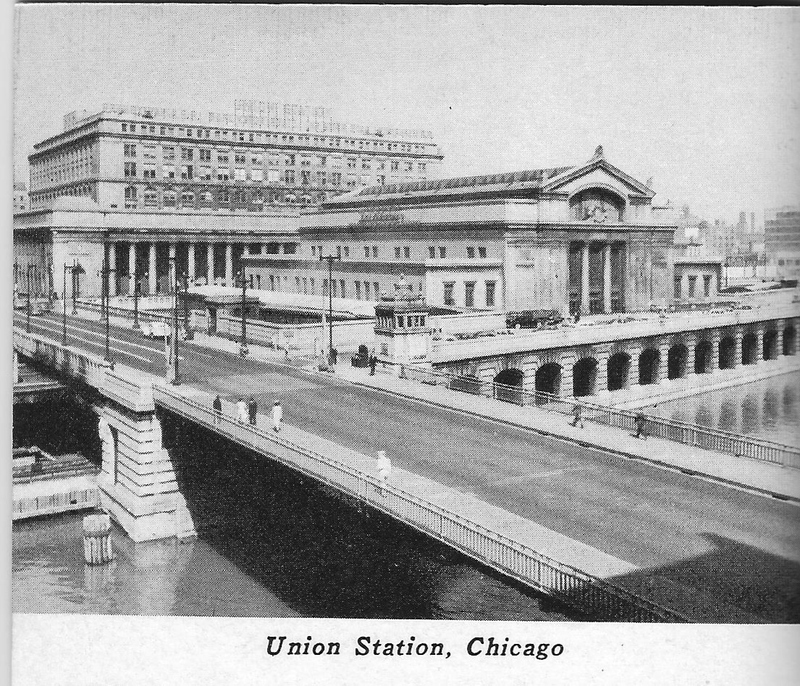 I include below the few that relate directly to the train journey, including the photo of Chicago Union Station and a list of tunnels along the Milwaukee Road route from Chicago to Seattle-Tacoma. 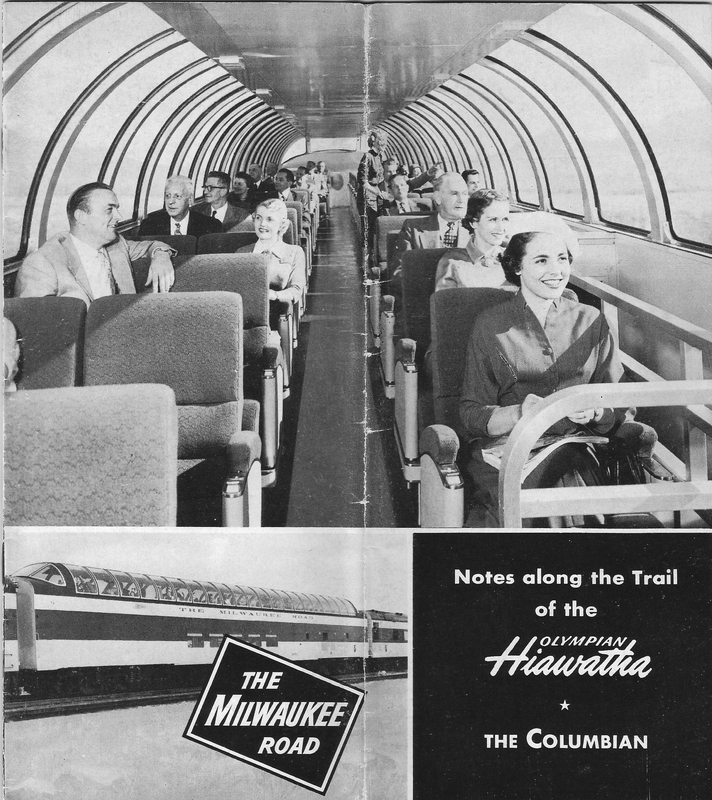 Incidentally, on the Amtrak Empire Builder you can still depart Chicago Union Station at approximately the same time the Olympian Hiawatha left, and you will follow Milwaukee’s track as far as the Twin Cities, from which the Builder will depart on former Great Northern track for its journey on to Seattle, where it will arrive at approximately the same time the Olympian Hiawatha arrived.